Free Reads from Gemma Juliana and some author friends! 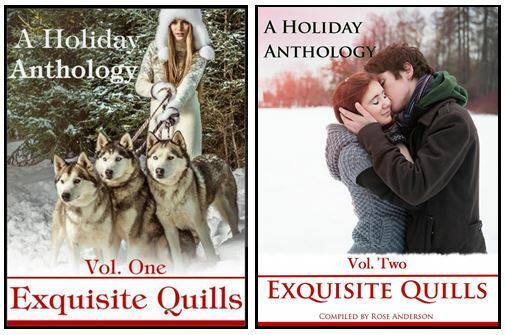 Exquisite Quills Holiday Anthology Vol 1. My story, Shooting Star Holiday Express, is based on magical winter train rides from my youth. It inspires hope and offers a second chance for love. A young widow and her child experience the meaning of true magic as they take a wintery train journey along the Pacific Coast. Read now for free. Exquisite Quills Holiday Anthology Vol 2. My story, Tropical Christmas, focuses on a Caribbean Christmas. A young woman goes to the Caribbean thinking she will experience a festive holiday party with a group of friends. But they have other plans, setting her up with her ex whom she still has feelings for. Will sparks fly? Or is this a recipe for disaster? Read now for free. Thanks to author Kaye Spencer for making these great book trailers.